Prof. Koen Binnemans is a full professor at the Department of Chemistry, specialised in metallurgical chemistry (solvometallurgy and hydrometallurgy). He has developed a core expertise in the chemistry of rare earths and other critical metals, in ionic liquids and solvent extraction (SX). He is author of more than 450 papers in international peer-reviewed journals, H-index = 65 with more than 19,000 citations. Within his academic career, he has been the (co)supervisor of 48 finished PhDs and is (co)supervisor of 21 ongoing PhDs. As an ERC Advanced Grant holder (SOLCRIMET: Solvometallurgy for critical metals), he is co-founder of the SOLVOMET Industrial Service Centre for Solvometallurgy. 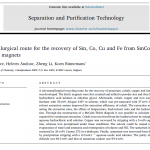 He is also the main responsible of the Research Line “Hydro- and solvometallurgical processes” in SIM² KU Leuven. 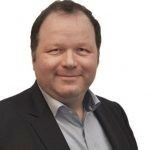 He was a Steercom Member of the European Rare Earth Competency Network (ERECON) and is currently member of the Scientific Council of the Belgian Nuclear Research Centre (SCK-CEN , https://www.sckcen.be/en ). He is an elected member of the Royal Flemish Academy of Belgium for Science and the Arts (KVAB). Binnemans is the coordinator of multiple EU European Training networks, such as FP7 ITN EREAN (completed), H2020 ETN DEMETER, ETN REDMUD and ETN SOCRATES. His group is partner in multiple EU H2020 projects such as METGROW+, PLATIRUS, NEMO and CROCODILE. Peter Tom Jones (Dr. Ir.) 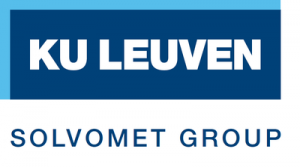 is a KU Leuven IRF (Industrial Research Fund) Senior Research Manager in the field of Sustainable Metallurgy. He obtained his (Environmental) Engineering Degree in 1996 at the KU Leuven and completed his PhD in Metallurgy in 2001 also at the KU Leuven. 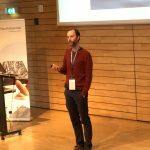 Subsequently he worked as a postdoc at MTM, KU Leuven. 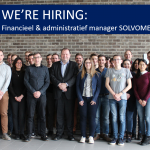 Since 2008 he is one of the 30 IRF Research Managers at the KU Leuven. On the KU Leuven level, he is co-founder of the Centre for High Temperature Processes and Sustainable Materials Management, a Centre focusing on applied research, structurally funded through Umicore, Aperam, Recmix, Metallo-Chimique and Group Machiels. 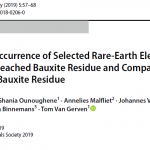 He was the valorisation officer for and Chairman of the Industrial User Committee of RARE³, the KU Leuven Knowledge Platform on rare earth recycling. 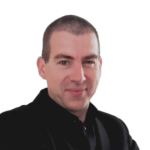 Since 2014 he is the General Coordinator of SIM² KU Leuven, the cluster that brings together various research groups/departments at KU Leuven. On the Flemish level he was the lead author of the approved SIM MaRes Programme. 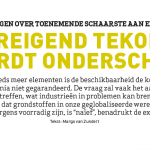 Since January 2012 he is the President of i-Cleantech Flanders. On the EU level, Jones is the General Coordinator of the European Enhanced Landfill Mining Consortium (EURELCO) and the EU MSCA-ETN NEW-MINE project. He is also the Exploitation Manager for the EU MSCA-ETN projects EREAN, DEMETER and SOCRATES (full list here). Together with Prof. Karel Van Acker he was also involved in the KU Leuven contribution to the winning EIT KIC RawMaterials consortium.